With an international dragon boating competition in their sights, members of the North Shore Dragon Busters are stopping at nothing to ensure their level of preparedness. 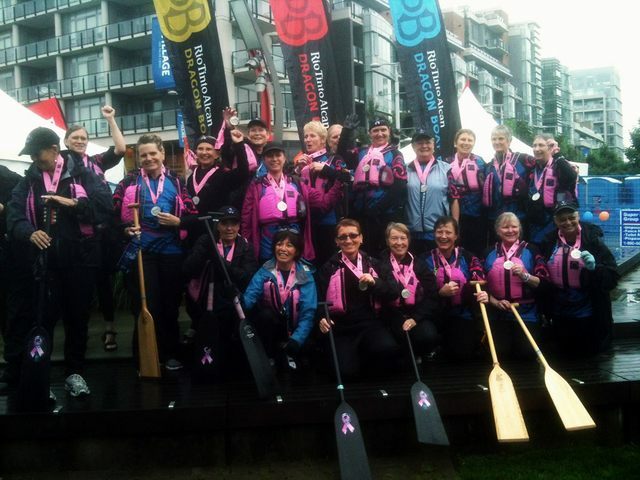 The Deep Cove-based breast cancer survivor dragon boat team has a strong track record, including having won the breast cancer challenge cup at the False Creek Women’s Regatta in May, as well as a silver medal in the Rio Tinto Alcan Dragon Boat Fes-tival, also in False Creek, in June 2012. The team is currently gearing up to compete as one of three breast cancer survivor teams in the Dublin Dragon Boat Regatta, held Sept. 15-16, in Ireland. 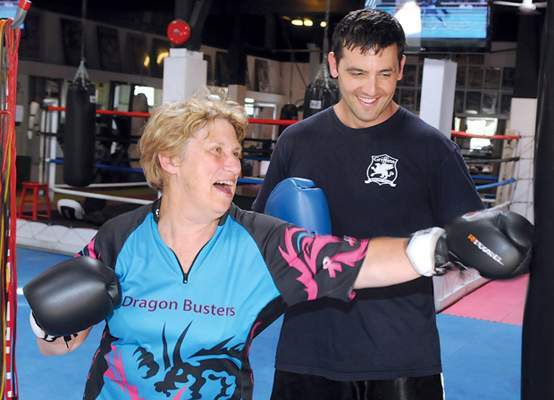 Dave Brett (right), owner and head coach of Griffins Boxing and Fitness, has long been a supporter of a variety of causes related to breast cancer, inspired by the journey of his mother, Kathy (left), who beat the disease in the 1990s. His newest initiative involves helping Kathy and her North Shore Dragon Busters teammates with their dry land training in the lead-up to a September dragon boat regatta in Dublin, Ireland. In addition to twice-weekly practices, the Dragon Busters are no strangers to dry land training. Annually, team members participate in pre-season gym workouts. For example, prior to the current season, they worked out at a Steve Nash fitness centre. In the lead-up to Ireland, they’ve decided to take a different approach, thanks to the guidance of one of the Dragon Busters’ sons. Helping take the team to the next level is North Vancouver boxing and fitness guru Dave Brett, owner and head coach of Lower Lonsdale’s Griffins Boxing and Fitness. Dave has long been a supporter of the North Shore Dragon Busters, inspired by the journey of his mother Kathy, who has been a team member for the last five years and involved in dragon boating for more than a decade. Dave continues to raise funds for the team through sticker sales at his gym, and in the past, has earmarked funds from his annual gala fundraiser, Evening at Ringside. Having the team train at his facility is just one more means of supporting their efforts. “There’s something about a lady who’s gone through what these ladies have gone through and the fact that they wrap their hands (and are learning to box). There’s something empowering about it, I love it,” says Dave. He suggested the team come into his gym after hearing they were looking to do some cross training. More than half of the Dragon Busters have decided to work out at Griffins and started attending hour-long sessions on Mondays last month under the guidance of coach Malae Blakeley. 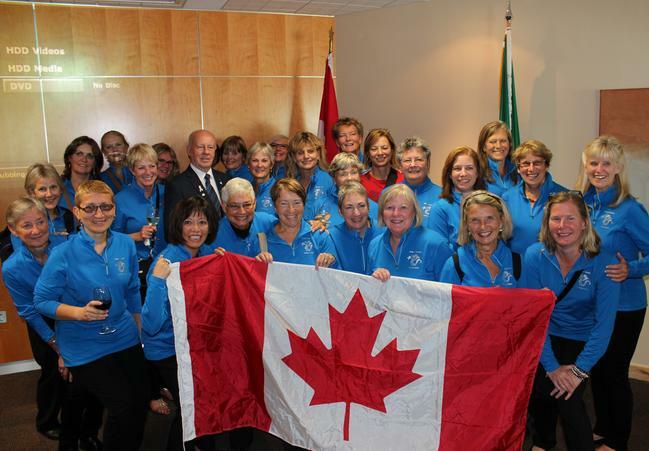 “We work body parts that are necessary for their rowing and paddling,” says Blakeley. The class starts with a dynamic warm-up, like calisthenics or light cardio, and then moves into a boxing component. “We don’t do a lot of specific technique, but they’re learning proper execution of punches, jabs and crosses,” she says. Blakeley has already noticed improvement in the ladies and a marked difference between those who’ve come to more classes. The Dragon Busters’ level of camaraderie continues to impress her. 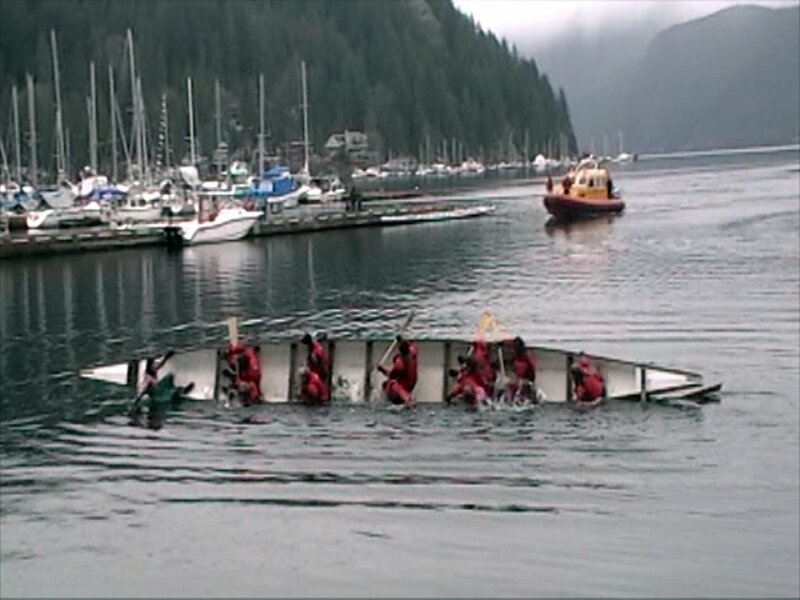 “It’s this real communal effort to train together both on water and off. I find them all incredibly inspiring,” says Blakeley. She’s been enjoying getting to know the women and hear their stories as the weeks progress. The relationship has also proved meaningful for her as her own mother has been diagnosed with a different form of cancer. “To see these women who have gone past that and are working towards making their own lives better as a result of something negative happening to them, I find it just incredibly empowering – both as a woman but also just in the industry. Our industry, and fitness, we want people to move, whatever that may be, we want people to move and these women are moving a lot,” says Blakeley. This is North Vancouver resident Kathy’s first time training at her son’s gym. While it’s been challenging, she’s been thoroughly enjoying the workouts, and is already feeling stronger. She likes the atmosphere at Griffins, and is motivated by the other boxers similarly training there and feels accepted by them. Kathy was diagnosed with breast cancer in the 1990s and, the result of successful treatment, is believed to have been cancer-free since 1997. She got involved in breast cancer survivor dragon boating based on the recommendation of a friend. “The only thing in common is breast cancer. . . . But it’s an amazing team, so supportive of each other, such good camaraderie. It’s pretty wonderful to belong to that team,” she says, of the Dragon Busters. Kathy is grateful for Dave’s support over the years. “It was kind of interesting to me and very beautiful to me that the very second he got his own business going, and was able to, he supported breast cancer, he supported our team. I was very touched by that,” she says. “He’s always done things for our boat,” she adds. Dave is likewise proud of his mom. “She can hit pretty hard,” he laughs. Both Dave and Blakeley are impressed by the team’s performance thus far. “These girls are tough. They’re tougher than nails. They push back. They’re already the champ,” he says. The new partnership between Griffins and the Dragon Busters speaks to a major mission of the gym, which is empowerment, says Dave. “The whole reason that Griffins exists is to try and build confidence in people,” he says. Programming is not intended to create professional boxers, rather to positively change the lives of people of all ages. For more information on Griffins Boxing and Fitness, visit www.griffinsboxing.com.